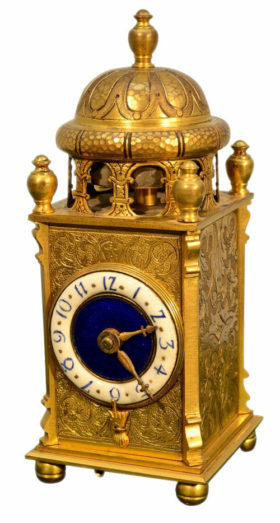 French miniature carriage clock. This charming piece is done in a Medieval style gilt brass case, featuring delicate hand engraving detail throughout. 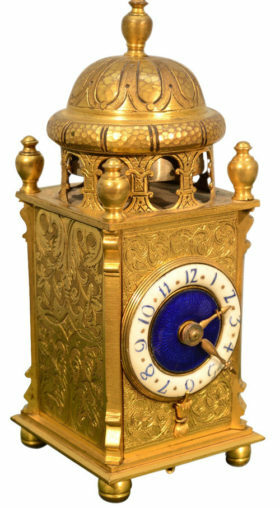 The clock features striking blue detail on the dial, a large bell in the cupola, and houses an 8 day movement.